Fitness19 is a fitness center franchise that was started to give customers more of what they really want from a fitness membership. The result is a simple fitness club concept that provides extremely affordable access to a family-friendly facility with state-of-the-art cardio, strength, and free weight equipment. 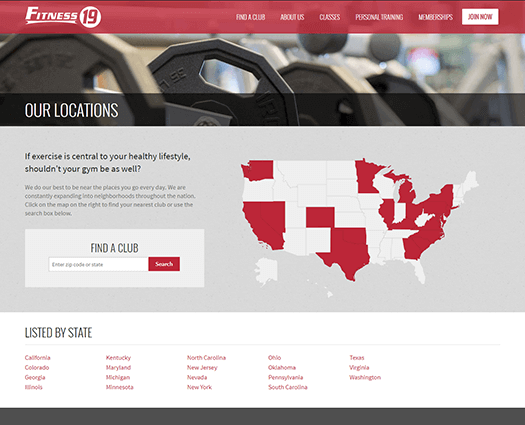 HigherVisibility first analyzed the fitness market space and reviewed competitor sites before creating a brand new website for Fitness19, complete with built-in Search Engine Optimization features. In the construction of the website, we also implemented tracking abilities that enable Fitness19 to identify the ROI of “7-day Guest Passes” requested by users. Once the site was completed, HigherVisibility developed a focused on-page optimization strategy that immediately gained positive results, followed by the development of a quality and relevant link building strategy. 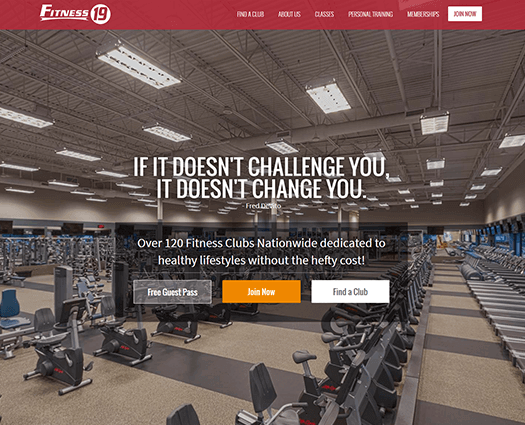 By utilizing our internal proprietary tools, we identified hundreds of link building opportunities that greatly improved the power and authority of Fitness19.com as well as their micro-sites. When Fitness19 first came to HigherVisibility, they were averaging roughly 29k organic visitors per month. Since then, they now average about 140k organic visitors per month, a 383% increase, and have jumped from ranking for just 1,800 keywords to 35,000 keywords, a 1,844% increase. Most impressively, Fitness19 went from receiving zero organic conversions to 8,400 conversions in just one year, and then went on to receive 36,000 conversions the following year for a total increase of 329%. Overall, HigherVisibility created a unified and effective SEO strategy that brought Fitness19 to reach its potential.